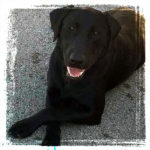 MTN View Kennels is known throughout the Southeast for providing an exceptional, versatile Labrador Retriever well suited for the discerning owner seeking a companion with the temperament to both work and be the perfect companion. Located on a lovely farm in East Tennessee with over 25 acres, MTN View Kennels sets their Labs apart from birth with training and nurturing. Owned and operated by Mr. David Frensely, MTN View Labs are breed and trained for scent work. Make sure you check out our current litters of Labrador puppies – AKC Registered – for your perfect puppy. MTN View Kennels is a breed that works as a non-profit organization 501(c)(3) working to support those living with diabetes. This means we can offer our Training Services and our Puppies as fund raisers for our non-profit. For more information please contact us. The Team at MTN View Kennels has more than 20 years of experience training exceptional Labs for police work, service animals, and field hunting to ensure every owner is setup for success. The Team at Mountain View is fully prepared to work with each potential owner to identify and provide either foundation or advanced training as required to meet everyone’s needs. Go ahead, plan your visit to our lovely location in the mountains of Tennessee and meet your new best friend! Living as a Diabetic or diabetes care taker isn’t always easy. With the unconditional support of a Diabetic Alert Dog, that balance becomes a possibility. Our alert dogs for diabetics provide the stability, safety and support. As service dog providers, we’ve seen first hand how diabetes can affect not only the individual, but their family as well. Constant care, a lack of sleep, and unshakable fear from highs and lows are all realities a diabetes care taker faces. Diabetic individuals themselves might have a hard time living life fully, due to the limitations of coping with diabetes. Through our custom-trained Diabetic Assistance Dogs (DaDS), the lives have been changed. With our service dogs, those struck by invisible illness can find independence from fear and around-the clock care. Having a service dog as a companion promotes freedom and keeps you safe from hitting sharp highs and lows. As we know, investing in a Diabetic Alert Dog is a solid investment in your mental and physical health. Retrieve Food & Medication Such as Glucagon, Glucose Tabs, Insulin, Juice, Meters, etc. Thanks for stopping by and please contact us if we can be of service. MTN View Kennels makes it easy to reserve your lab puppy. Our Current Litters page allow interested buyers to see new arrivals and to learn about upcoming puppies! Please note that deposits are nonrefundable. I got this picture today of Murphy, Orange Puppy, and Avery, Pink Puppy, from the litter before last of Gus and Stella. Can you tell which one is which?